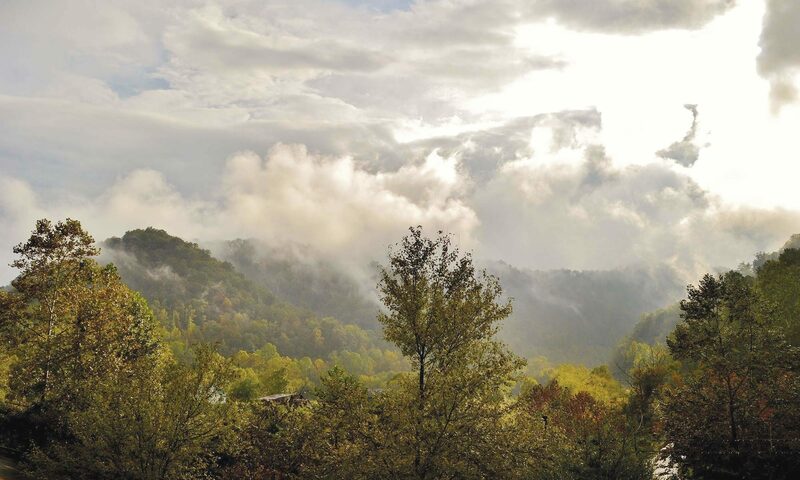 The weather may be getting a bit nippy, but there is still plenty of fun things to do in Pikeville/Pike County this Christmas season, and beyond. Below is an assortment of great things you and your loved ones can be a part of for the month of December through February in Pikeville/Pike County, Kentucky. This winter season, several great music events are planned for Grant’s Branch Park. On Friday, December 8th, beginning at 6:00 p.m., a bluegrass music event will be held, followed by a gospel music event Friday, December 15, also beginning at 6:00 p.m. The season will be capped off with Christmas Caroling, which will be Friday, December 22, beginning at 6:00 p.m.
Brought to you by East Kentucky Broadcasting, Pikeville Winter Fest will be going on from December 1st to the 30th, 2017. Enjoy the Christmas decorations in the beautiful Pikeville City Park, complete with an Ice Skating Rink. Also, take in a walk down Pikeville’s Downtown, where lively Christmas decorations adorn the streets, featuring some great mom-and-pop shops and restaurants along with way. Be sure to bundle up, it’s worth the trip. Artists Collaborative Theatre will be showcasing A Civil War Christmas: An American Musical Celebration November 24th-December 17th . Showtimes will be on Thursdays, Fridays, and Saturdays at 7:30 p.m., and Sundays at 3 p.m. Set in one of America’s most trying eras, this show explores various storylines from the Civil War, both factual and fictional, with music and drama masterfully performed by the multi-award-winning Artist Collaborative Theatre’s cast of local talent. Click here to view the event page. Jenny Wiley Theatre of Pikeville presents A Christmas Carol, December 1st through 20th, 2017. Located in Downtown Pikeville, Jenny Wiley Theatre is an award-winning theatre featuring professional talent and high quality productions. Showcasing the classic Christmas story, Ebenezer Scrooge is a prosperous curmudgeon who believes that personal wealth is far more valuable than the happiness and comfort of others. With an infuriated “Bah! Humbug!” Scrooge summates his feelings of Christmas tidings and charitable giving, but he’s forced to face his selfish ways when three ghosts on Christmas Eve lead him through his Past, Present and Future. Thanks to their guidance, Scrooge recognizes his faults and greets Christmas morning with a cheerful “Happy Christmas” before spending the day reconnecting and sharing love with those that mean the most to him. The University of Pikeville’s Concert Choir will be performing Sing we now of Christmas, Thursday, December 7th at Booth Auditorium, located in the Record Memorial Building. The performance will begin at 7:30 p.m. Everyone is welcome to attend. Plus, see Tye Dillinger and many more WWE Superstars! Want to do something unique this holiday season with family and friends, try the Epic Escape Game of Pikeville. The concept is simple, you and your team is locked in a room full of puzzles. The goal is to find clues and solve the puzzles and escape before the hour is up. Each room is packed full of character, from the Hatfield-McCoy Feud Room, to the spooky Octavia Hatcher room, and even a submarine in the Deep room. You can even reserve a room for holiday parties! Traxxas Monster Truck Tour will be coming to the East Kentucky Expo Center February 9th and 10th, 2018. The show will be beginning at 7:30 p.m. Tickets go on sale Monday December 4th at 10 a.m. Ticket Information: Advance discount tickets are available online at Ticketmaster.com, all Ticketmaster Outlets, by phone at 1-800-745-3000, or at the Appalachian Wireless Box Office. • Adults starting at $25! • Kids 2-12 starting at $12! Fees may be applied, tickets are subject to a service charge, ticket prices increase day of show. Brad Paisley brings his Weekend Warrior Tour with Dustin Lynch, Chase Bryant, and Lindsay Ell to Pikeville, Kentucky on February 23, 2018! 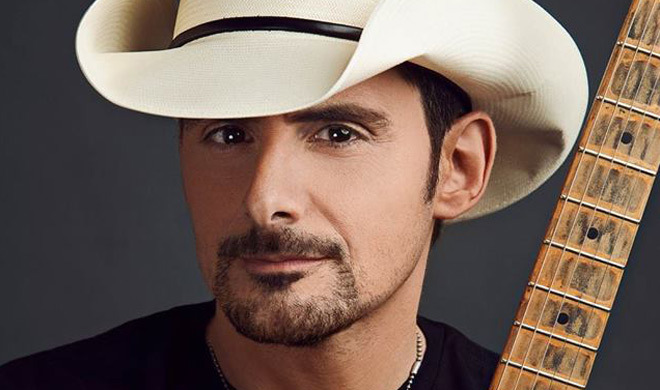 Brad Paisley is a consummate singer, songwriter, guitarist and entertainer whose talents have earned him numerous awards, including three GRAMMYs, two American Music Awards, 14 Academy of Country Music Awards and 14 Country Music Association Awards (including Entertainer of the Year), among many others. He has been a proud member of the Grand Ole Opry since 2001. Paisley has written 21 of his 24 #1 hits including his most recent smash, “Today.” The song resonated with fans around the globe with the music video garnering over 43 million views, so far. “Heaven South” is his current single from his 11th studio album, LOVE AND WAR, which was released April 21. It is his 9th consecutive studio album to debut #1 on Billboard’s Top Country Albums chart. On April 28 LOVE AND WAR was released as country music’s first ever visual album for a limited time exclusively on Apple Music and now is available on VEVO. Paisley contributed two instrumental tracks to the Disney•Pixar movie Cars 3, which hit theaters on June 16. He also has a song, “Stubborn Angels,” in the movie Same Kind of Different as Me, in theaters now. Paisley has partnered with Sarah Cannon, the Cancer Institute of HCA Healthcare, and Sony Music Nashville, by launching 2017 Band Against Cancer. The campaign will spread the word of community-based treatment, options and support. If you know of any events featured in Pikeville/Pike County, Kentucky, and would like them featured on this post, reach out to us. We’d love to include everything going on this holiday season. We hope you have a merry Christmas, and a happy new year!